Another week means another fabulous round-up of recent client features, from Brides.com to InStyle and so much more! Take a look below at all the fun! 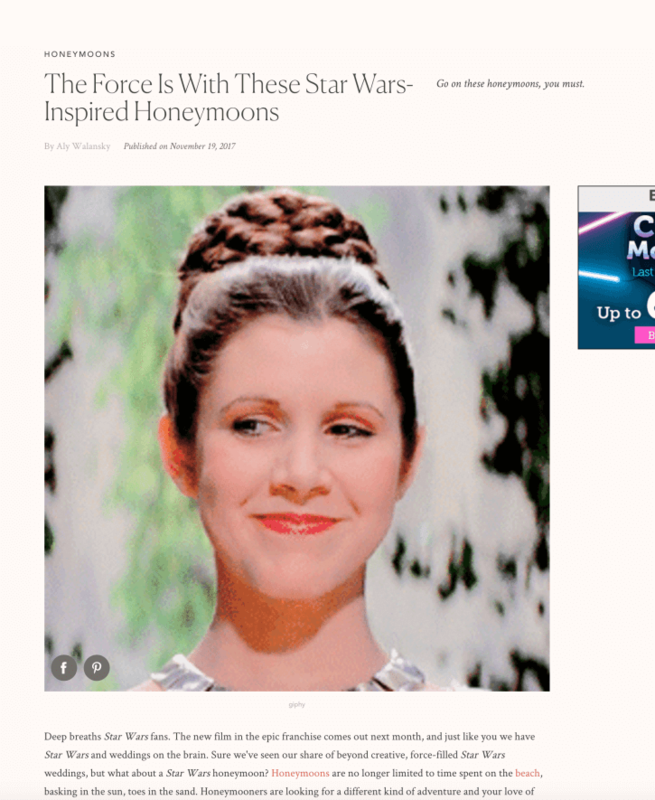 We had so much fun with this Star Wars themed article from Brides.com, featuring commentary from the International Academy of Wedding and Event Planning, Xena Productions, and Destination Weddings Travel Group. See it here! Talk about a drop dead gorgeous feature! 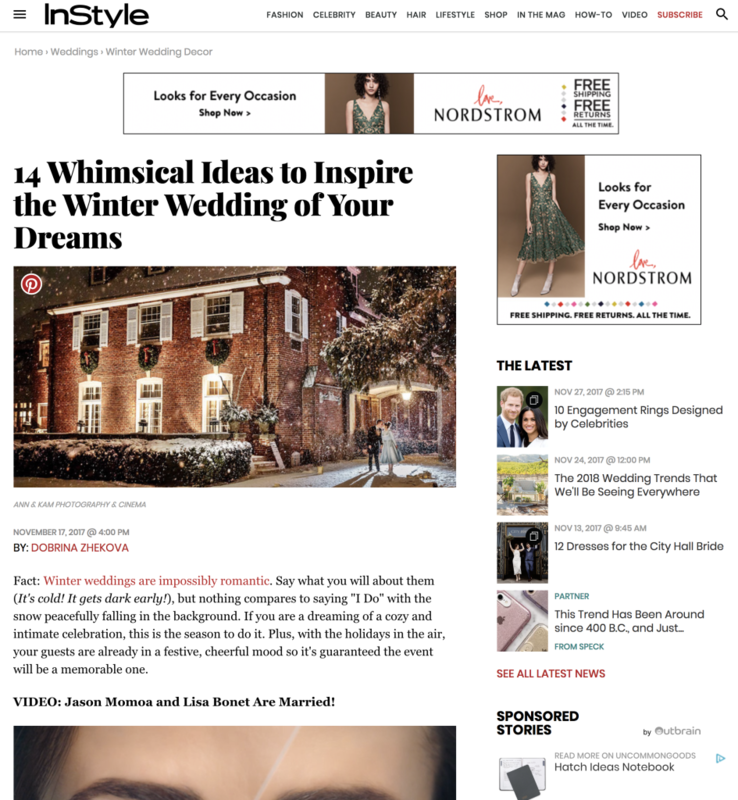 This article from InStyle is full of stunning winter wedding photos we could not get enough of. Complete with photos and commentary from Belladeux Event Design, Paisley & Jade, Color Pop Events, International Academy of Wedding and Event Planning, Classic Photographers, Don Mears Photography, and Corey Torpie Photography. See the full feature here! Are you a Game of Thrones fan? The writers over at InStyle definitely are! 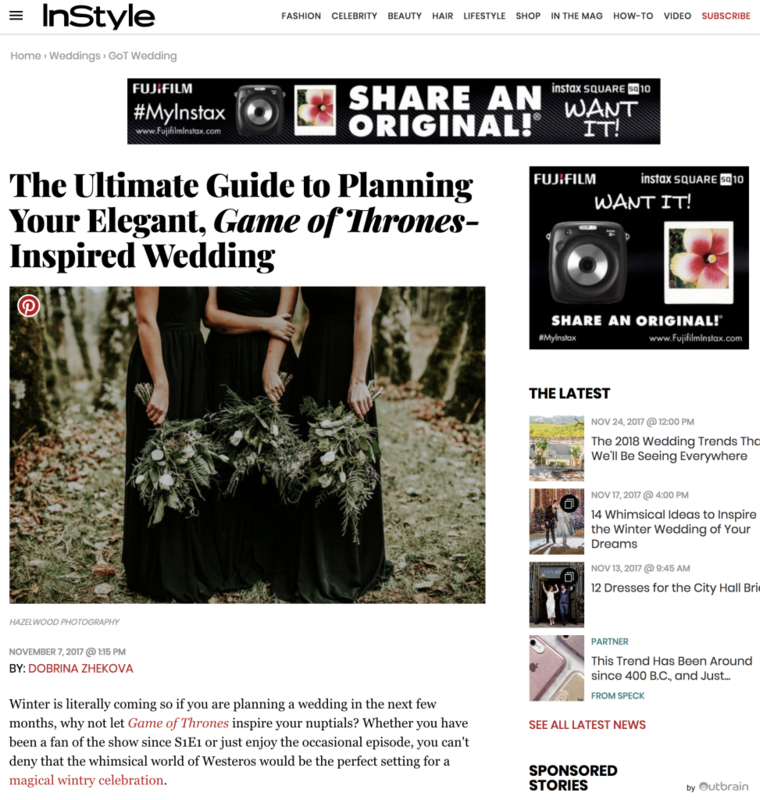 This beautiful feature highlighting Game of Thrones Inspired Weddings was amazing to be part of, with photos and commentary from 100 Candles, Cavin Elizabeth Photography, and The Renaissance. See the full article here! 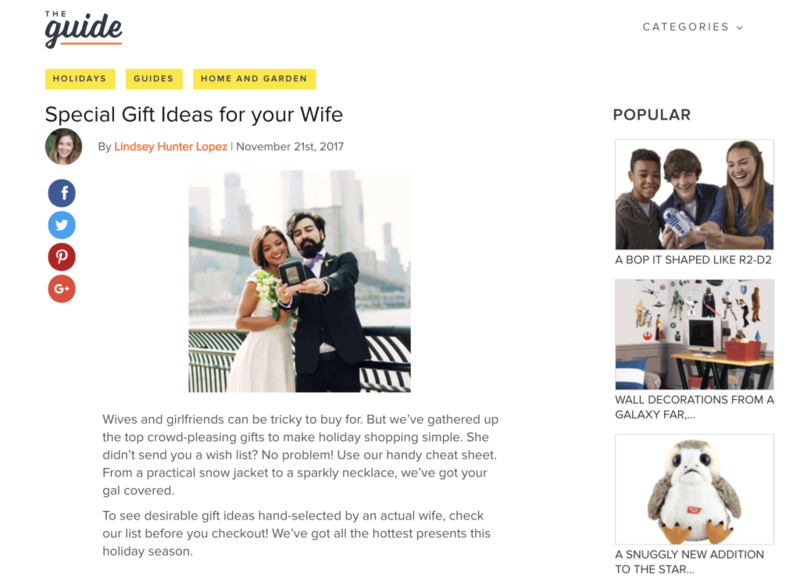 We were beyond thrilled to see La Rousse Shoppe featured as a great gift to give on The Guide! See the full article here. 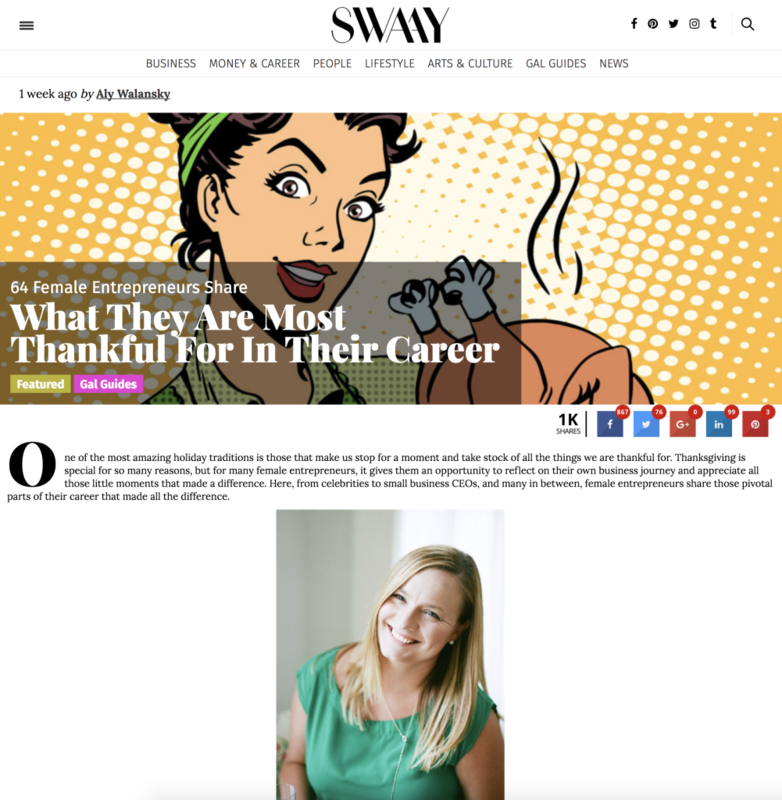 Amy from Sunshower Photography shared what she’s most thankful for in this Thanksgiving inspired article from SWAAY Media. See the full feature here!